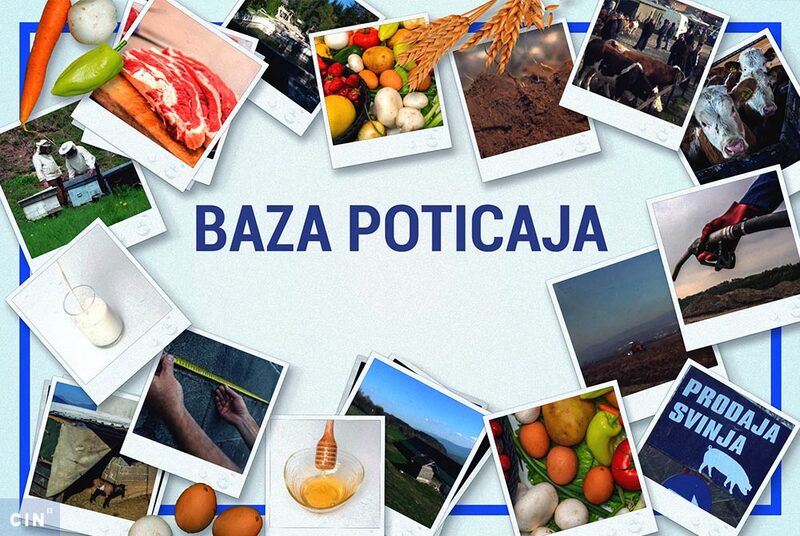 Out of 21 million KM in agricultural subsidies that the Federation of BiH Ministry of Agriculture provided in 2012, at least 2.7 million KM went to the firms that applied with the outdated buildings, non-existent businesses or were owned by party colleagues and the minister’s family. “He wanted half of the money to go to the party and from my half a 15 percent kickback for himself. I refused and three days later I was informed that I did not qualify“. He is one of the three persons who have talked with the Center for Investigative Reporting in Sarajevo (CIN) about the kickbacks they were asked to pay to the party in order to get the capital investment grants. The ministry headed by the party’s vice-president Jerko Ivanković Lijanović provided around 21 million KM in capital investment grants last year. CIN investigation found that at least 2.7 million KM of that money went for outdated buildings, non-existent business or into the pockets of the minister’s family and his party colleagues. Some of them used to hired as the party promoters. The Ministry put out the call for applications for agricultural grants in mid last year. Eligible farmers had to be registered with the ministry and had to show a proof that they had invested in their farms or livestock between mid-2010 and the end of 2011. They were offered a 25 percent subsidy on the cost of their projects. As a proof that they had made an investment into the farm, they were asked to submit receipts or an appraisal about the value of the investment. The call was open for eight days. Out of 1,135 applications, the money was awarded to 220 individuals and firms, while 677 applications were not even opened. The minister appointed his advisors and party colleagues from the Ministry on the Commission for Rural Development that reviewed the applications. Among them was Stipe Šakić who on two occasions was the party’s candidate: once for the mayor of Široki Brijeg, and another time for a councilor at the West-Herzegovina Cantonal Assembly. When Lijanović joined the FBiH Government, he appointed Šakić as his advisor and afterward as the Commission’s member. The Commission’s role was to review the applications and decide which ones should be sent to the minister for approval. In an interview for CIN, Šakić acknowledged that the Commission has not processed a number of applications. He said that they stopped when they reached the designated amount. “We could not get ourselves into debt furthermore“. Šakić said that the commission made their funding proposals based only on the receipts and appraisals, without doing any field work. The FBiH auditors voiced their suspicions regarding the value of some of the appraised investments in their audit of the Ministry. Venco Anđelić from Kiseljak received a grant worth nearly 650,000 KM for a slaughterhouse which has never got going. Nowadays it accommodates three bulls whom Anđelić takes to bull shows. Even though the call for applications stated that eligible candidates were only those who had invested into the buildings and equipment during the past two years, CIN learned that Anđelić started the building of the slaughterhouse seven years ago. He had also registered himself with the Government’s Farming Registry two days after the call was put out. 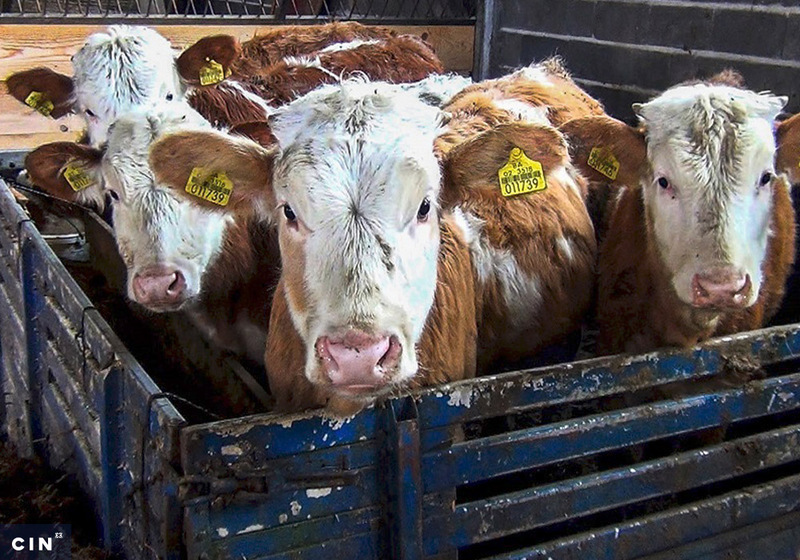 The Registry notes seven bulls, while CIN reporters only encountered three on their visit to the slaughterhouse. “I don’t have livestock, just bulls which I keep out of love”, said Anđelić. He received money based on the appraisal of 3.6 million KM. Still, the slaughterhouse is not operational while Anđelić said that he needs one more million KM to get it going. He does not have that money. Asked what he did with the grant money, Anđelić said: “We paid people what we have owed them and that was it“. 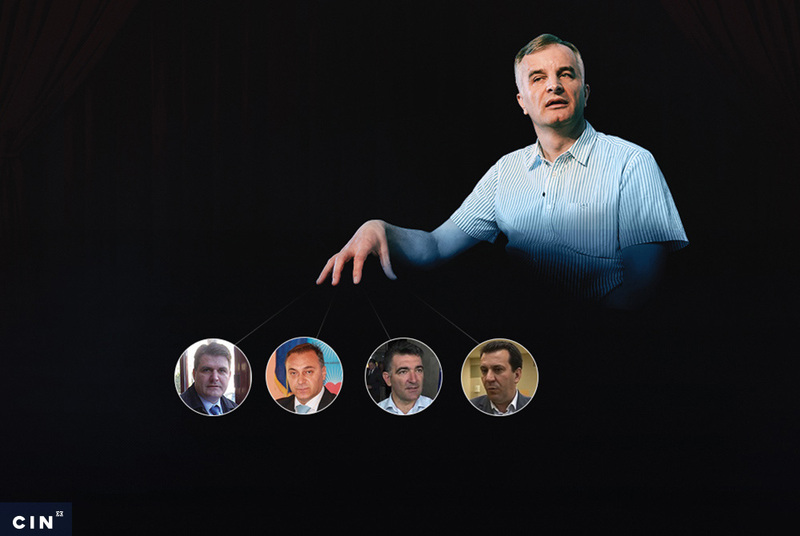 Together with his brothers and a son, Anđelić owns a meat-processing firm Mali Raj in Kiseljak. The firm was named Šparmerc until 2012 and the state Indirect Taxation Authority has charged it with tax evasion. The Authority submitted several reports with the state Prosecutor’s Office on suspicions that Šparmerc damaged the state budget for over 3.6 million KM. According to the reports, Špamerc was importing beef that was described as frozen beef lard in the paperwork. In that way they tried to avoid paying customs duties. Šakić said that the Ministry where he works was not in charge of tax evasion. “I think the sanctions and other things should be left to the institutions in charge of these matters. We should not be meddling into their work”, said Šakić. Enver Mehmedović, a member of the government’s Task Force for the Oversight of Grants, said that Anđelić got money for the slaughterhouse built a way before the period stated in the call. The Task Force was established in August 2012 after an anonymous tip about the irregularities in connection with grants. The Task Force is made up from four members from the Agricultural Boards of the both Houses of the FBiH Parliament and the representatives of the Ministry of Finances and the Ministry of Agriculture. Unlike the Commission member, the Task Force has done field work and made a report based on it. The FBiH auditors also warned about the irregularities. They recommended to the Ministry to demand the genuine paperwork be attached to the applications in the future to verify that a building was used for the purposes that the grant funds had covered. The auditors recommended to the Ministry to doublecheck the appraisals especially if there was a suspicion that a building was not built during the period covered by a grant, especially when big amounts were in question. Asked if there could be a gap between the state of affairs on the ground and the appraisal, the expert witness Zijad Sirćo—who has done the appraisals for several farmers—told reporters that the Commission failed to do its work properly. Sirćo sad that the Commisions has compared no appraisal with the situation on the ground to see if it met the time period in question and other conditions. Kupres-based Gajevina Dušići got more than a million KM in subsidies on account of the buildings constructed before the period covered by the call for applications. A leasing contract worth 4.3 million KM signed between its owner Petar Buntić and NLB bank in 2011 was was accepted as the proof of investment. 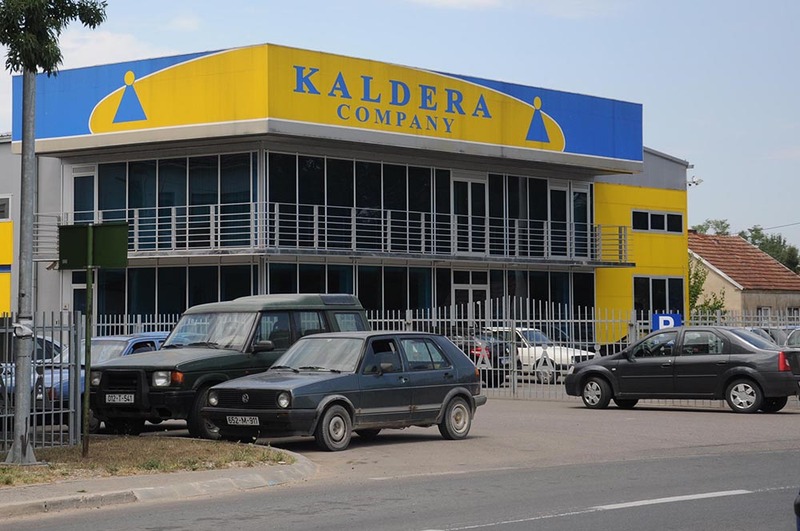 Some of the firm’s buildings were mortgaged with the FBiH Investment Bank for a leasing loan of 3 million KM back in 2007. Still, the last year’s grant did not help the Kupres firm to pay back its dues—the firm’s bank accounts are still blocked. According to the Task Force, Buntić is also the owner of a firm Buntić-Eco which got another grant worth nearly 590,000 KM. The FBiH auditors have established that the land plots of these two firms are adjacent. The Court of BiH found Buntić guilty of money laundering and tax evasion in je 2007. He was sentenced to two years on probation and a 60,000 KM fine. He refused to talk with CIN about the way in which he got the grants. “I’m not a criminal. I am a worker who toils and hardly makes end meet”, said Buntić, adding that the money he received was “spent transparently”. Ante Pavković, the owner of Posušje-based Šišović firm was sentenced together with Buntić in 2007. Two firms owned by the Pavkovićs received grants: the Glamoč Farm received more than 166,000 KM, and the Tomislavgrad Farm got 129,000 KM. The auditors found that the receipts based on which the Tomislavgrad Farm got 35,000 KM for the purchase of the equipment for milking cows cannot be connected with the investment. While showing the itemized bill to CIN reporters Pavković’s son Damir, the director of the Glamoč Farm, said that these two farms are among the rare firms which had receipts to account for their investment. He acknowledged the kin relationship with the minister Lijanović, but he did not see it as a privilege. “My grandmother and the minister’s father are a brother and a sister. Yes, we are close kin, but I don’t think that this makes us privileged—on the contrary”, said Pavković. In a CIN interview the minister Lijanović said that he knows the Pavkovićs and that one member of that family is the party’s councilor in Posušje. He said that the Ministry is not a law enforcement institution and added that he was not aware that among the recipients of the grants were firms which owed taxes. Out of the six recipients from Zavidovići, at least three are connected with the party: Berina Hadžić, and the firms Ošmika and Kemin. At the last local elections Hadžić was the party’s candidate for Zavidovići municipal council. She received around 20,000 KM from the Ministry for the construction of a barn. During an interview with CIN reporters, she could not say exactly when she had built the barn, how much it cost and what paperwork she filed to get the grant. Zavidovi-based Ošmika received nearly 97,000 KM. Its owner is Ibrahim Bošnjaković, who was the party’s candidate for Zavidovići Municipal Council at the last elections. Bošnjaković, who gave his wife the power of attorney to run the firm, said that he applied for money to buy beehives, accompanying infrastructure and a fence for the plot. Asked how much money he had invested, Bošnjaković said: “The expert witness calculated that it was somewhere around 380,000 KM”. Dario Đonlić, the expert witness who did the appraisal, refused to talk with CIN. Kemin received around 56,000 KM for the construction of a warehouse for agricultural products. The firm’s director is Emir Džinić, the party’s councilor in the Zavidovići Municipal Council, while his father Kerim is the firm’s owner and the party’s municipal representative. In a CIN interview, the director said that the firm deals with agriculture and wood products and that the building for which he got the grant money serves exclusively as a wholesaler’s lot. Džinić said he could not remember when he had built the warehouse and how much money it had cost him. “There should be receipts, actually, I’m sure there are some”, he said. The Task Force Member Mehmedović told CIN that they went to the firm’s lot where they saw dried firewood crates. “He named it the ‘Warehouse of Agricultural Products’ and it was supposed to be the first phase of a refrigerator’”, said Mehmedović. “But you can only take his word for it. Tomorrow it might become a coffeehouse”. According to a report from the FBiH Police Authority, the Džinić father and son lobbied the municipality’s residents to cast their votes for the party in the run-up to the 2010 general elections. They promised money in exchange. Minister Lijanović said that there were not enough party members among the grant recipients. 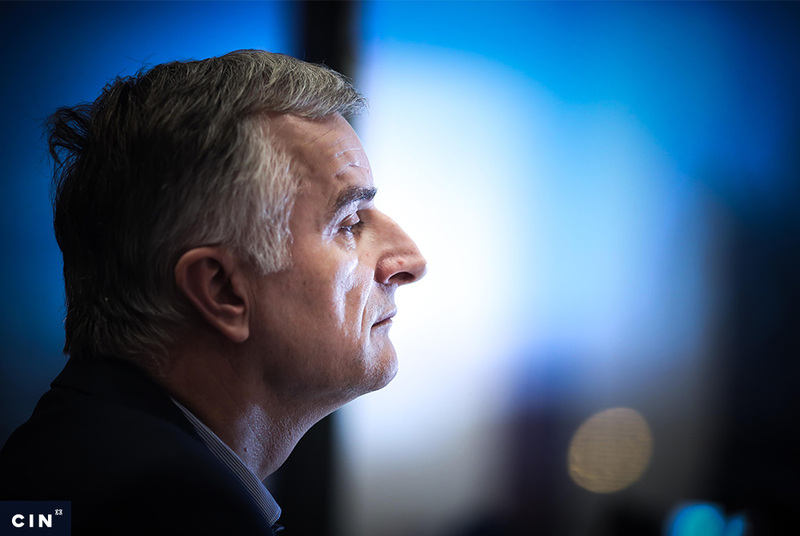 Asked whether his party colleagues turned to him for help, Lijanović answered: “Maybe some did, but it was absolutely useless, because we’ve done what we could. We would be against anyone who would ask us to break the law”. Among those whose requests were not even taken into account are Dževad Kovač from Mostar and Tarčin Co-op. Kovač has a farm with around thousand goats. After he had sent an application, a party member called. “They told me: ‘If you don’t give 50 percent, an inspection will pay you a visit’“, said Kovač adding that he got neither money, nor a rejection letter. A Tarčin co-op supplies a nearby dairy with around 500 liters of milk a day. It is registered with the Farming Registry and during the time period pertinent to the call for applications, the co-op invested around 250,000 KM into purchasing livestock. Director Mehmed Nikšić and six other employees expected to get back a quarter of the invested money through the grant. Nikšić is heading the FBiH Bureau of Agricultural Associations which submitted a complaint against Lijanović because of the way the grants had been distributed. “We have received neither a rejection letter, nor an explanation”, said Nikšić. “We’re down on our knees”. Published on Oct. 22, 2013. Slijedom priče o nelegalno podijeljenim poticajima u poljoprovredi od strane ministra Lijanovića, malo sam istraživao popise koji su javno objavljeni na stranicama ministarstva. Između ostalih, na popisu fizičnih i pravnih osoba koje su dobile poticaje u 2012.godini nalazi se i poduzeće RB Best d.o.o. Grude. Ništa nebi bilo sumljivo da se ovdje ne radi o poduzeću koje je vlasnik Radio Gruda i nikakvom drugom djelatnošću se ne bave osim tom. Dali je poticajem od 7.000,00 KM plaćana promidžba stranke ministra Lijanovića za vrijeme lanjskih Izbora ili neko drugo mito, bilo bi dobro istražiti. DA NIJE TRAGIČNO BILO BI SMIJEŠNO. U navedenom Izvješću ima toliko dokaza da se ministar Lijanović i njegovi pomagači zatvore 100 godina u zatvor jer su nanjeli milijonsku štetu proračunu FBiH? Očito SIPA i Tužiteljstvo nemaju vremena za ovako “male” istrage. Odlično istraživanje i članak. Mnogi se poljoprivrednici žale upravo na ovu vrstu reketa. Ovo je posao za policiju i tužiteljstvu, ali kako i tu ima svakakvih utjecaja, treba nastaviti javno govoriti o ovoj temi, sa konkretnim primjerima, i tako ohrabriti još ljudi da svjedoče o svojim iskustvima, kako bi se izvršio pritisak na odgovorne da rade svoj posao. Mi smo sjeli i analizirali spisak za one koji su dobili poticaje u našoj opštini i zaključili da su mnogi ljudi bez ikakve veze sa poljoprivredom dobili poticaje, dok su dugogodišnji poljoprivrednici odbijeni. Poticaji za saksiju na balkonu!